Did you know there over 474,000 IT consulting businesses in the United States? Collectively, they employ over 2 million people and generate more than $400 billion in annual revenues. Is your business one of those making a killing? As technology advances and the demand for IT services continues to grow, it’s fair to assume every IT consulting business is turning good profits. However, this isn’t necessarily the case. There’s fierce competition for clients and the vast majority of the market is dominated by large firms. 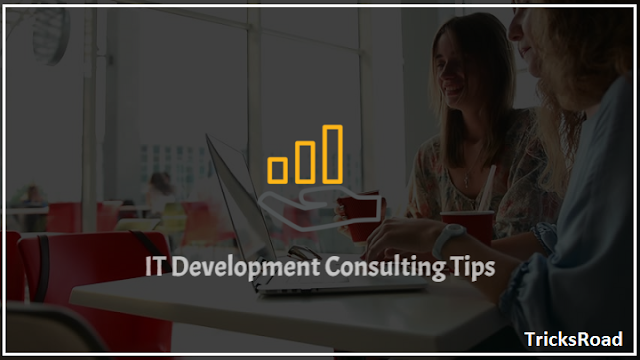 Which brings us to the point of this article: Top IT Consulting Business Development Tips to Take Next Level. IT is a vast field. There’s networks, cybersecurity, hardware, data management, cloud computing, business process automation, virtualization, and more. If you want to take your consulting business to the next level, it’s crucial that you offer a wide range of services under one roof. Sure, specializing in a certain niche such as big data consulting, is an ideal way to build your authoritativeness, but then you’ll be locking out other opportunities. Most companies that need IT consulting services don’t prefer working with multiple consultants. They’d rather hire one firm that offers several IT consulting services. As a small IT consulting firm, it’s unlikely that you have the resources to pursue a national market. If you’re doing this, you’re setting up yourself for failure. Leave the national and global markets to the large consulting firms and focus on a local market. This ensures your competitors are companies you can go toe-to-toe with, and depending on your innovativeness, you can beat them. Another benefit of targeting a local market is it becomes easier to craft a laser-targeted marketing strategy. Local SEO, for instance, is highly effective when you have a clearly defined local target market. What are people saying about your brand on the web? Considering that 84 percent of people trust online reviews as much as friends, you have to safeguard your IT consulting firm’s online reputation. Of course, offering quality services and building positive relationships with your clients is the best way to ensure your business gets positive reviews. However, you can’t make everyone happy. Some clients will leave negative reviews and complaints on various online platforms. It’s your just to keep tabs on such reviews and take steps to mitigate the damage. Ultimately, businesses that maintain a positive online reputation have the best chance of growing to the next level. Every year, there are tens of IT consulting conferences and events across the country. Sending some of your staff to these events costs money, but the benefits are worth it. Your company will gain visibility and build valuable connections with other industry players. Plus, nothing stops you from organizing your own conference! It’s a good way to showcase your expertise and enhance your chances of dominating the local market. The IT consulting market is on a growth track, which means there are enough opportunities for business owners to cash in on the growth and take their business to the next level. But you can’t rely on market conditions alone. With the tips fleshed out above, you’re now in a better position to position your firm for growth. Keep tabs on our blog for more business insights.